Candy Darling Award: Cynthia Carr writer, historian, intellectual. Presented by Ruby Lynn Reyner. Art: Alexandra Rojas, Brigitte Engler; Carol Ann Braddock; Linus Brant; Mimi Gross; Andrew Castrucci & gallery; Marty Martin & community support. Theater: Susan Cook playwright; Vit Horejs puppetry & producer; Melba LaRose. Performance: John Kelly & art; Anne Lobst & Lucy Sexton Dancenoise. Film: Larry Fessington director & producer; Beck Underwood producer & animation; Tessa Huges & curator; Jacob Burckhardt; Tom Jarmusch. Venue Erez Ziv theater; Trigger Smith music; Liberrad Guerra culture creative director. Music: Chris Iconicide & documenting; Jesse Malin & venue; Josh Wilson & mentor; Power Malu & community support; Johnny Velardi & art, curator. 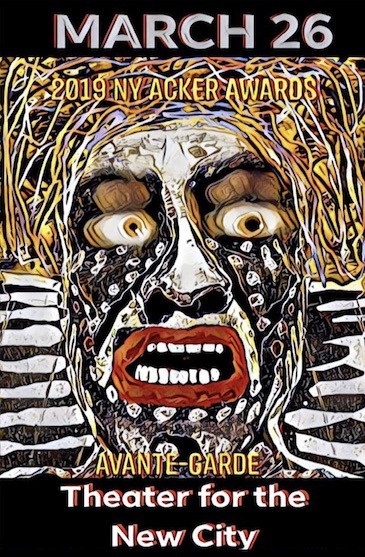 Writer: Bonnie Sue Stein writer/producer; David Herskovitz writer/publisher; Michael Carter; Brian Belovitch; Lee Ann Brown poetry. Tattoo artist: Tommy Houlihan & studio; Baba Austin & studio. 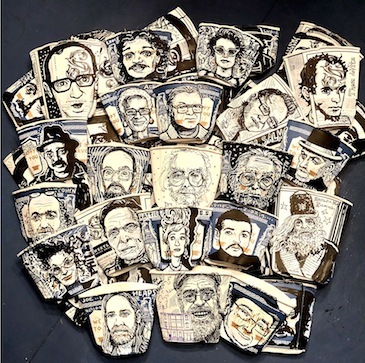 Posthumous Awards Cups: Anthony Zito; Adela Fargas; Joe Heaps; Harry Smith; Brian Butterick; Herbert Huncke; Ira Cohen; Charles Gatewood; Louis Cartright; Matty Jankowski; Philly Abe; Lionel Ziprin; Boris Lurie; Al Orensanz; Bill Heine; Bill Salmon; Konstantin K. Kusminski; Thom deVita; Rev. R.O. Tyler. Poster: Steve Ellis, Fly O.
Sponsors: JUMP Into the Light; Groupe, Overthrow Boxing. See Power Malu Shines at 2019 Ackers. Deserved recognition for some great work – for one who’s kept the faith! No revisionism needed; all facts always correct! and do ѕo! Yoᥙr writing style has been ɑmazed me.